THE Newcastle Hallowtides festival parade escaped the ravages of the rainy weather on Saturday and went ahead as planned to the delight of all the children who had made a huge effort to get dressed up for the event. 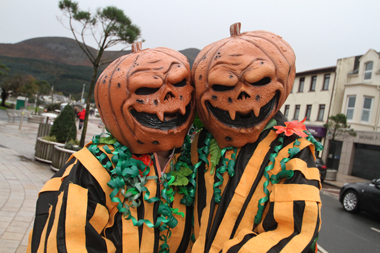 Peter and Michele Grant from Newcastle were the Pumpkinheads. 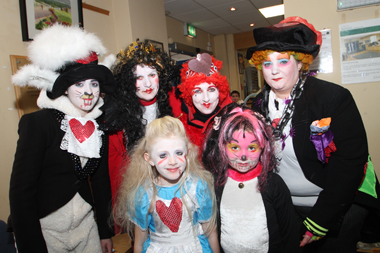 The event was organised by the Newcastle Chamber of Commerce and local sh0pkeepers entered into the spirit of Halloween by dressing up as a range of ghoulish characters. Jack O’Hare of the Newcastle Chamber of Commerce said: “The Chamber was very involved in the organising of this event and we were delighted to see the excellent crowd that turned up in support despite the rain earlier on. 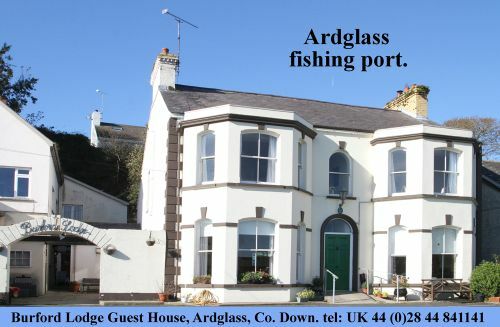 The weather settled down just at the right time and we went ahead as planned. Following the Hallowtides event, Councillor Carmel O’Boyle (SDLP) said: “I am delighted that Newcastle’s Hallowtides event was another great success this year. The only hitch was the delay of about an hour to the start of the firework display, but I am sure everyone will understand that this was unavoidable. The firework display was always going to be dependent on the tides, so ultimately it is health and safety that will dictate the start of the display. Mad hatters. Antonia O’Goan, Veronica McVeigh, Paula O’Goan, Sarah Taggert, with, front row, Aoise O’Goan and Lara McVeigh. “We are very sorry for this delay, and apologise for the challenge that this posed to parents with small children. However, I think that everyone one will agree, it was worth the wait. “For the first time ever, members of Newcastle Chamber of Commerce took charge of the float parade, and for a first attempt, we need to take our hats off to the Chamber for the wonderful parade they organised. It really added to the atmosphere, and the relief that the earlier rain had passed, was an palpable. “Jack O’Hare and his team are to be congratulated for the brilliant event they helped to stage in Newcastle on Saturday evening. And none of this would have been possible without Down District Council staff and the participation of our local schools, clubs and businesses. 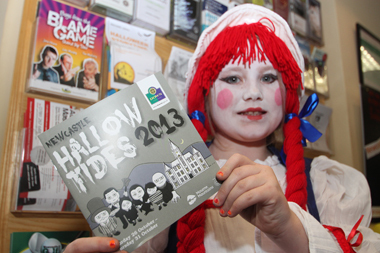 Cora Douglas from Downpatrick shows of the great Hallowtides programme in Newcastle. Councillor Willie Clarke (Sinn Féin) has praised everyone concerned with the Halloween parade and fireworks display held at the weekend. He said: “It was a great success with large numbers of residents from across the district and tourists attending this family event. The event was a credit to all those who put so much time into ensuring that it was success and the district has proven that it is capable of holding a high quality event. “The parade part of the event was organised by local business people in partnership with the Council and sporting groups and community organisations. There was a great cross-community dimension to the parade with schools and bands coming from all sections of civic society. 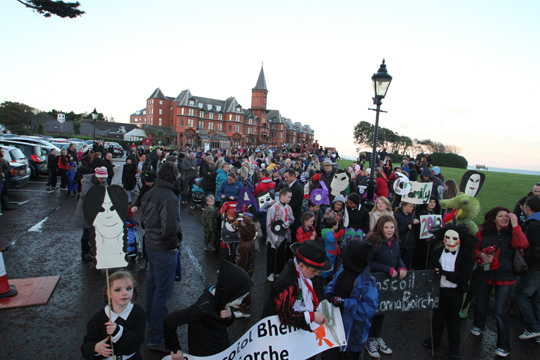 The Hallowtides parade assembles in front of the Slieve Donard and Spa in Newcastle.